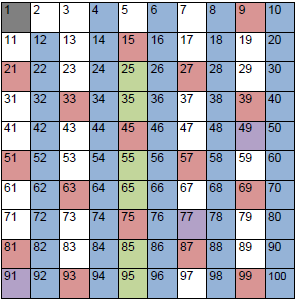 To create the Sieve of Eratosthenes pictured above, use a 100 chart and shade the multiples of 2, 3, 5, and 7. As you work with the whole class or small group, discuss why some of the multiples are already shaded and the difference between prime and composite numbers. 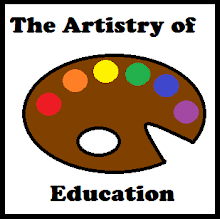 For more details and to download a free 100 chart, please visit this post at Artistry of Education.